WEST PALM BEACH, Fla. — The International Hot Rod Association (IHRA) announced today that Pat’s Auto Supply Motorsports Park in Canada has a reached multi-year agreement with the sanctioning body. Pat’s Auto Supply Motorsports Park is located at Beaverlodge, Alberta, Canada and is run by the club members of the North Peace Bracket Racing Association (NPBRA). Classes run on the 1/8-mile drag strip at Pat’s Auto Supply Motorsports Park include Box, No Box and Junior Dragsters, which are part of the IHRA Summit SuperSeries. The track also hosts Outlaw Street, Pure Street and a Bike/Sled division. 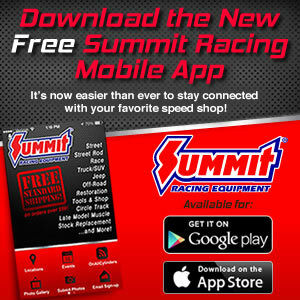 The IHRA Summit SuperSeries is the largest and most prestigious bracket racing program in drag racing. The $200,000 program is the World Championship for over 8,000 Sportsman racers at nearly 100-IHRA sanctioned tracks each season. Now, participating track champions at Pat’s Auto Supply Motorsports Park will have the opportunity to compete at the IHRA Summit World Finals on October 18-20, 2018 at Memphis International Raceway.